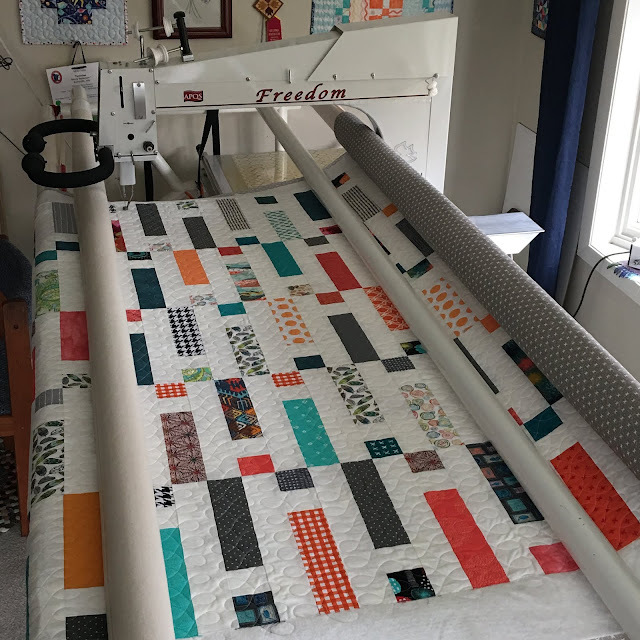 Christa Watson recently held a QAL (quilt-along) of her pattern Dot 'N' Dash, from her book Piece and Quilt With Precuts. 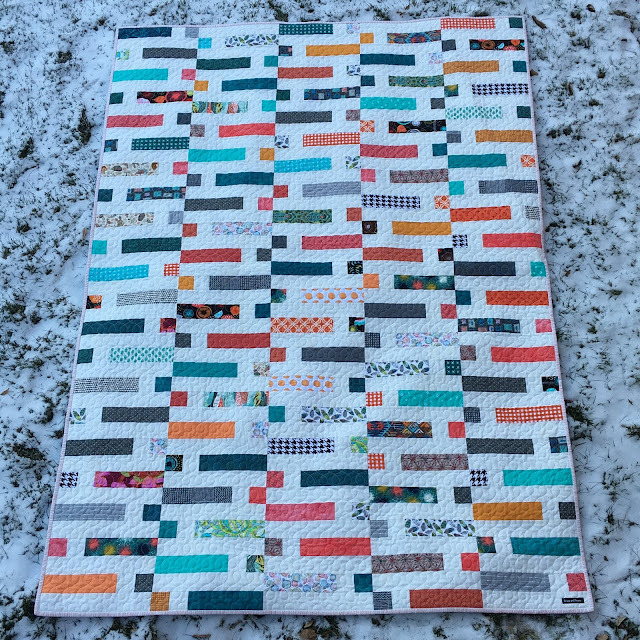 Since I had the book and I love the quilt, I jumped right in! 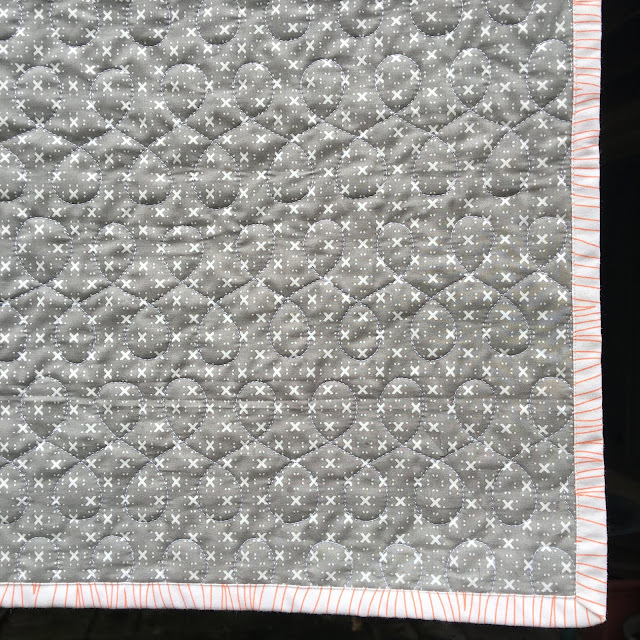 I made my version from a small curated jelly roll I picked up on clearance at a LQS. It was made from a mixture of fabric lines teamed up together. I added a number of my own jelly roll strips cut from stash in turquoise, orange and grey color families. The background is Grunge "White Paper". You can see mine and other versions of the Dot 'N' Dash quilt on Instagram here and here. Linking up to Confessions of a Fabric Addict, Friday Foto Fun, TGIFF Quilts, Crazy Mom Quilts. Looking great. How good to have the fabrics already selected for you and be able to jump right in. It turned out so nice. I have half of my blocks done. Now to the next set. Nancy, it turned out perfect. I love that grunge for the background. 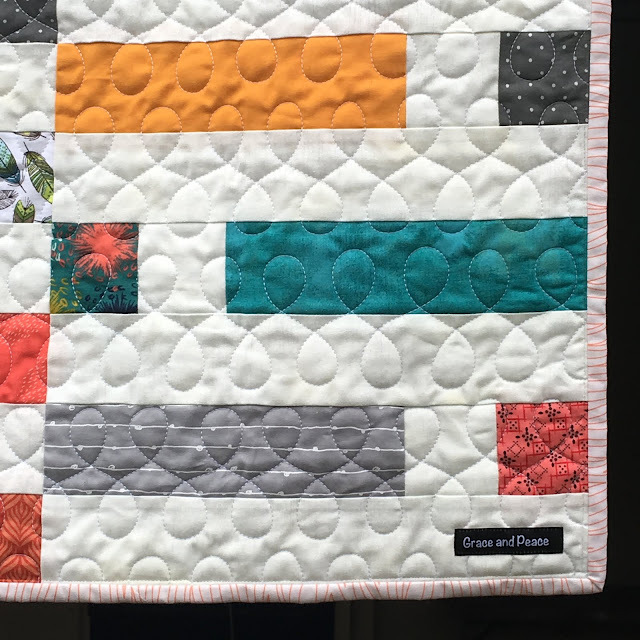 Lovely quilt and great easy design. Thanks for sharing. I didn't get to tell you this yesterday, but I love this quilt! 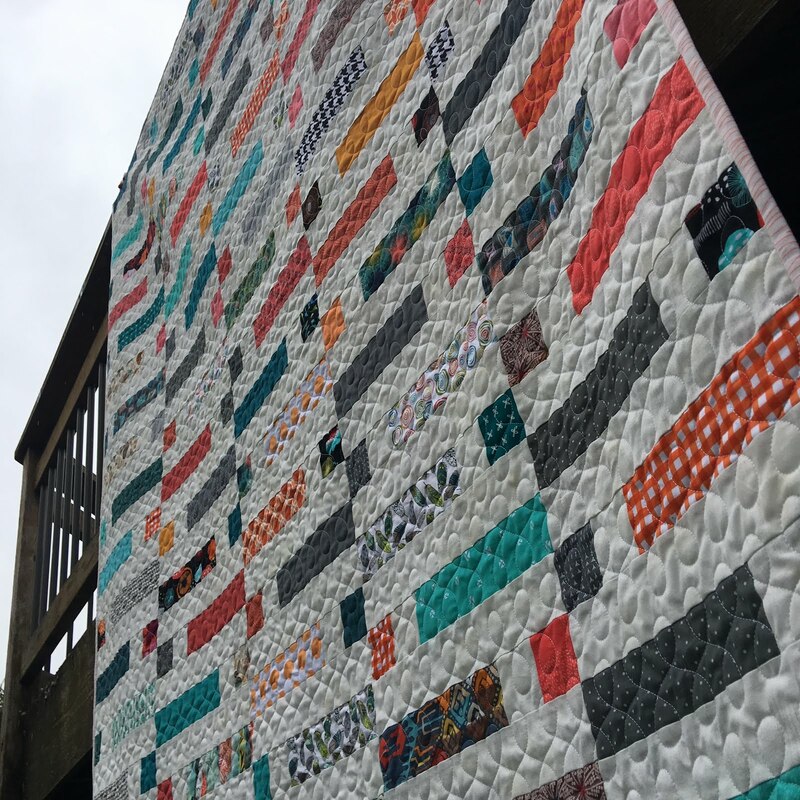 The colors are fantastic and, of course, your quilting is tops! The four of us need to do that again; I thought it was fun to meet up and enjoy the Quarter Inch together. 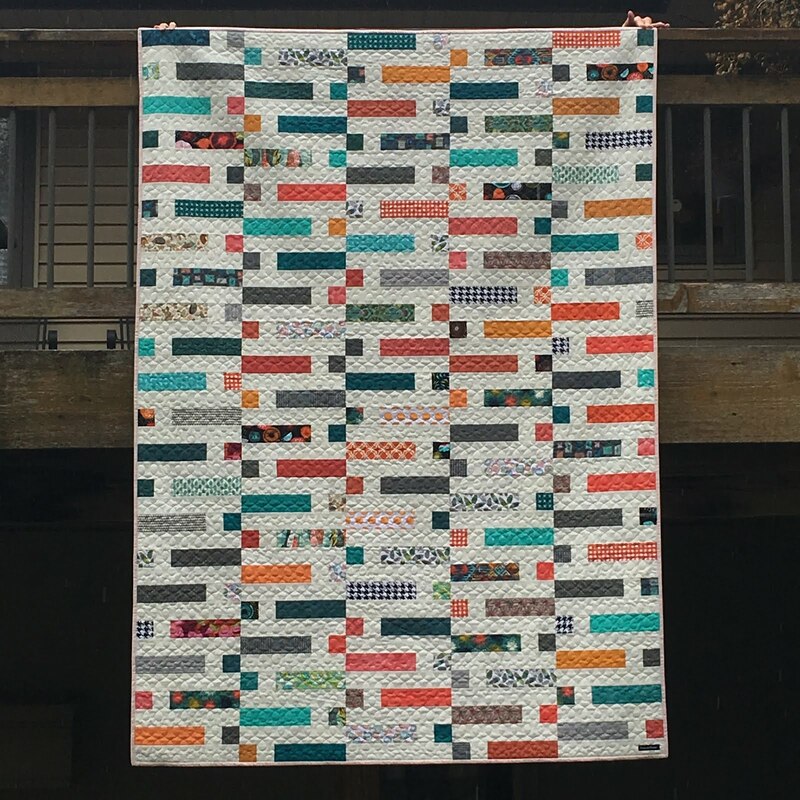 Oh I love your Dot Dot Dash quilt! It's so beautiful! I like that you added other fabric into the curated roll and personalized it. I've yet to quilt mine ... I somehow forgot about it. Oops. I meant to tell you yesterday how much I loved it! That is a wonderful finish! THe colors of your fabrics are lovely!! Your quilt is fabulous and I love the quiliting you did. It is nice that you culd make it a little bigger, always a good thing!